Get primitive. Be a caveman. Stay sick. Turn blue! 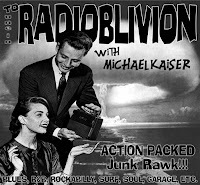 All on RadiOblivion eppy-sode 58. We continue our 'round the world travels unearthing POUNDERS from every corner; leaving no rolling stone unturned, pally. 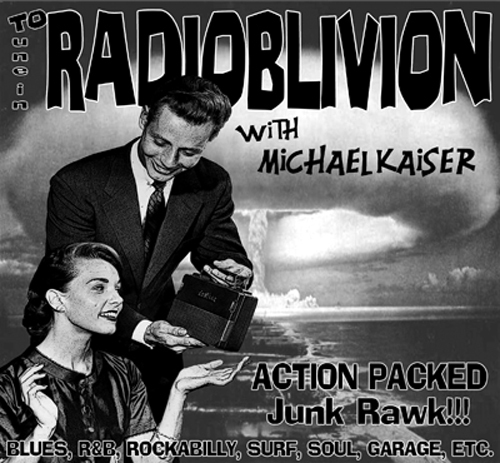 Featuring the Micragirls , Guy Hamper Trio , FuzzFaces, the Loons , Hipbone Slim and the Knee Tremblers , Thee Crucials , the Traditional Fools, the Foreign Characters, King Coleman , Memphis Morticians, and nearly an hour of thee most savage toons in the galaxy!